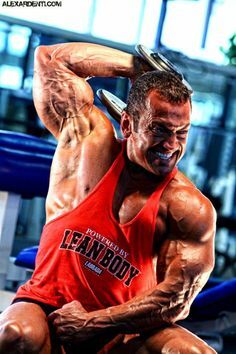 Bodybuilding plateaus is the biggest problem that male and female bodybuilders encounter. Note: for me a bodybuilder is anyone who trains with weights and follows a diet in order to get a great physique. While at first the gains of muscle mass come rather quickly, soon after you hit a plateau (a point where gains cease to come by). Sometimes it seems that no matter how hard you workout at the gym, the muscle mass just seems to remain the same. As a result, this causes frustration and leads most people to either give up, buy a whole bunch of supplements or even use anabolic steroids. The good news is that this is the very reason I decided to write this report. I want to share with you a secret that I have found after years of trial and error of different training and nutrition strategies. 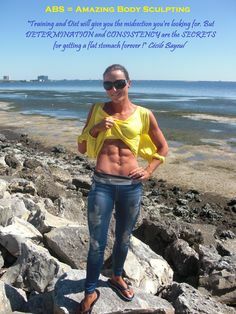 I have found that there is a way that you can accelerate your muscle mass gains and fat loss dramatically and prevent it from reaching the dreaded plateau. By applying this principle you will be able to fulfill your genetic potential as quickly as humanly possible. 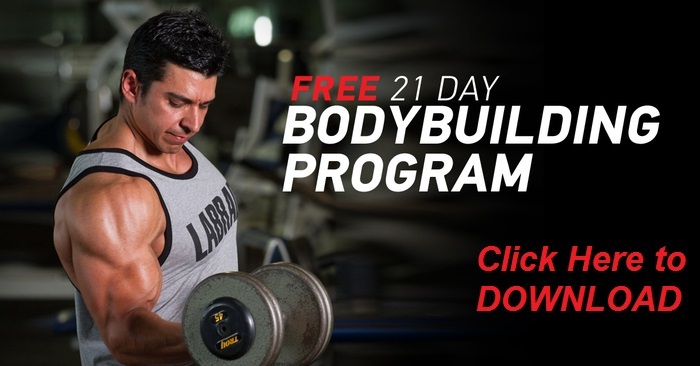 Not only will bodybuilders double their results from each workout (and cut their supplement bill and training time dramatically), but they’ll also get to greatly accelerate results in terms of massive muscle gains, strength and fat loss. But first a little bit about myself. My formal education background believe it or not is in Computer Engineering. I graduated from the University of South Florida back in 1998. So the question is: how did I end up from engineering to being a competitive bodybuilder and best selling fitness author? Well, I actually used to be very overweight as I was growing up so at an early age I experienced the feelings of insecurity that come along with obesity as well as the scorn and ridicule from some people. Since I kept hearing that the reason for my weight problems was food and that I had to stop eating, I took the advice to heart being sick and tired of how I looked and felt. So this resulted in me going anorexic at the age of 13 and losing a total of 70 pounds in less than a year. My family, very concerned about my health, took me to a nutritionist in an effort to put some sense in me and stop the anorexic cycle. This nutritionist mentioned one thing that changed my outlook on dieting forever: “Eating food will not make you fat; only the abuse of the wrong sort of foods will.” After listening to that statement, it all seemed to make sense. I then began following the diet she gave me and started to study the effects of foods on the human physiology. By the age of fifteen a girl that I really liked back then told me that I would look better if I had some muscle on me. She said that though I looked good, I was too skinny. Keep in mind that anorexia left me weighing a bit less than 100-lbs. So I asked my mom to get me a muscle magazine, the May 1990 Muscle & Fitness (which I still have to this day) so that I could educate myself on the subject. After I saw an article called: “How To Get BIG” written by the one and only, Arnold Schwarzenegger, I was hooked! To me, Arnold just looked perfect so I chose him as the role model to follow. I also got inspired by the physiques of Lee Labrada, Shawn Ray, and Francis Benfatto who were competing extremely successfully back then. To me, all of these guys exemplified perfection, real works of art. They all ate 6 times a day and trained hard day in and day out. So I simply started with following the training program and diet laid out by Arnold on his article. As I was so underweight and skinny at the time, even with Arnold’s training, which was pretty much overtraining, I still gained 40lbs during the summer. A proper six meal a day diet and regular training with me being very underweight really pushed on the muscle mass even if I did gain a little fat as well, but it was amazing to me and all my friends thought I was on steroids! Yet, I did not even have a clue of what steroids where at that time! Come to think of it, I guess that I was on steroids due to the fact that I was a teenager back then producing tons of hormones (yes guys, if you are teenagers then you are on the most powerful stack of anabolic steroids; the one produced by your own body)! This, in conjunction with the fact that once I started to feed myself 6 times eating around 3,500-4,000 calories a day, made me grow beyond belief on a daily basis and I guess this is what got me really hooked and led me to become an avid natural bodybuilder. After, gaining all that mass, I reached a plateau unfortunately; a sticking point I could not get past. As much as I loved Arnold I realized a natural bodybuilder like me could not keep up with the routines of professional bodybuilders who were taking drugs and so I took to reading countless books in my quest to find a perfect system. The frustrating problem was that I started getting exposed to absolutely contradicting theories on how to best gain muscle and lose fat. Upset at the fact that no one could give me a straight answer I decided to take matters in my own hand and use myself as well as my training partner as guinea pigs in order to find out what worked. This was the first time I really knew that I was going to create my own system as I was going to test everything on myself, my training partner and friends in order to find out what worked and what didn’t so that I could then throw out the bad and keep the good. I started my quest by recording everything I did down to the last detail. I’m quite analytical as a person, which is I guess why I became an engineer years later, but even early It showed as I read every book and article everywhere I could get my hands on. I was like a sponge for information, reading stuff from trainers from all over the world. I started to put together training routines and diet programs, and while some failed miserably some worked! For instance, I will never forget what happened when I went from training 2-3 hours a day to training for 45 minutes. I went through a growth spurt again! So through endless training routines and diet combinations I started to really understand what worked and what didn’t for me and my training partners. I started finding principles and patterns of training that seemed to work on everyone I tried them on. Above all, the most exciting part of my discoveries was the fact that there was no necessity to stay all day at the gym in order to get results! Because I felt that not many people in the industry cared about trainees actually reaching their goals, I decided to create a web site and start conducting personal training during my college years in an effort to spread all of the knowledge that I had acquired. Once I had dialed in the timing, frequency and the important details of training and nutrition cycling, that is when I created training routines that eliminated plateaus. It was at this point that I became passionate about sharing my knowledge with people as I fully understood I could help to double everyone’s results at the gym in half the time if they would employ my training and nutrition cycling principles. 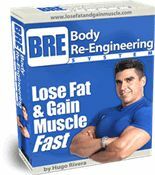 Because I needed to put together a website in order to graduate from Engineering school (that was my Senior Project) that is how I started to post my first few fitness articles, and not much later became a best selling fitness author. Notice that it took me from the time I was 14 years old to after I graduated from college to learn all the secrets to muscle building and fat loss on my own. However, with this article, I am confident that I can save anyone from all the troubles that I went through. Plateaus Don’t Need to Happen! How many times have you heard that plateaus are inevitable? Well, it’s time to say goodbye to plateaus forever! Typically, the people that make this statement are people who have been on the same routine for months to an end (or even years). 1) Your training is not stimulating muscle growth because your body is absolutely used to it (thus, there is no stimulus to grow). 2) Your nutrition is off: meaning that you are not eating 5-6 times a day, and you are not consuming the amount of protein, carbohydrates, and fats that your body requires in order to make great gains. The key thing to understand is that the body is a living organism that will always adapt to any stress that you put it through. Thus, when people start to train, they make great gains at first since the body is not used at all to the stress of weight training. As a result, rapid changes in the body occur. However, as time goes by, the gains slow down and unless you do something about it, progress will come to a sudden stop. I went through many frustrating years of this until I found out that if you change routines around, you make more gains. 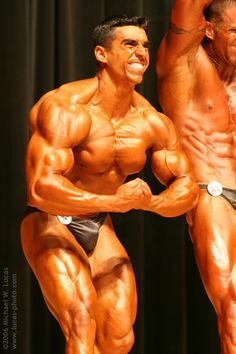 However, it was only when I found out that if you periodize your program in a logical manner (by alternating between periods of high volume/ high reps/ fast paced training with periods of lower volume/heavier weight/slower training) that makes use of the body’s own adaptation mechanisms you will make incredible “steroid like” gains. In order for the body to respond optimally, it cannot be trained in the same manner all the time. The best way to make the body respond is through the correct variation of exercises, volume (number of sets times number of reps), intensity (how heavy the weight is), and rest periods between sets. Workout parameters are going to be determined by the phase of the program you are in. There are going to be three phases that we will be repeating over and over again. The first week will be an “Active Recovery Phase”. In this phase you will only train with weights twice a week on a full body routine before you start the next phase which will be called the “Loading Phase”. The “Loading Phase”, which is three weeks in duration, is going to be a high volume phase with short rest between sets. Training volume gradually increases over the course of the three weeks in order to stress the body almost to the point of overtraining. Then the next three weeks are going to be a higher intensity/lower volume phase (heavier weights) with longer periods of rest between sets. This phase is called the “Growth Phase”, as volume is reduced but weights are increased in order to let the body catch up and super compensate (grow muscle size and strength). Now, as you get even more advanced, you can manipulate even more variables, such as the speed at which you perform the repetitions, the training splits used and you can also use advanced techniques such as drop sets, partial reps, forced repetitions, and even varying the speed in which you perform your repetitions in order to keep stimulating muscle gains. Again, the trick is to always follow a program that takes your body to the brink of overtraining and then backs off a bit in order to allow your body to catch up, recover and grow at an accelerated rate. Of course, in order to make great gains your nutrition has to be top notch. Training without the right nutrition will not provide you the results you are looking for since you will be stimulating muscle growth BUT you will not have the raw materials to build it. It is no different than having tons of contractors ready to build a skyscraper but there is no cement for them to use. So because of that, you need to fuel yourself correctly. Diet Is As Important As Training! Nutrition is what gives us the raw materials for recuperation, energy, and growth. Without a good diet, your dreams of achieving your ideal body will never be reached. I cannot even begin to tell you how many trainees sabotage great gym efforts by not following the proper nutrition plan. 1-1.5 grams of protein per pound of lean bodyweight. Protein is what gives you the raw materials for building the tissues in the body (including muscle of course). In terms of good fats, you need around 1-2 teaspoons of fish oils and/or flax seed oil three times a day (1 for ladies and 2 for guys). To be honest, I take as much as 1 tablespoon of Carlson fish oils 3x/day. You can also have a serving of nuts (if you are not allergic to them) or 1-2 teaspoons of extra virgin olive oil as well. The fact is that in order to gain muscle and lose fat properly you NEED good fats. Good fats provide you with the essential fatty acids that the body needs for brain function, energy production, joint tissue health, and hormonal production! 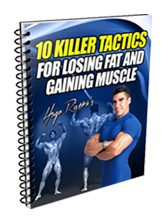 If you eliminate fats from your diet completely, your muscle mass gains and fat loss will greatly suffer! So will brain function! Thus, you need good fats and these will make an incredible change in your health and appearance! and 1.5 grams for 2 days. Hardgainers may need as much as 1.5-2 grams for 5 days and as much as 3 grams for 2 days. Usually people associate the word diet with days of starvation and pain. However that is not the correct definition of a diet. The word diet refers to the food choices that we make on a daily basis. Even if you don’t think you that you are on a diet, guess what?! You already are following a diet. Whether you eat candy all day everyday, or oatmeal, that is your diet. 1. It should favor smaller and frequent feedings throughout the day instead of smaller ones. 2. Every meal should have carbohydrates, protein and fat in the correct ratios: 40% carbs, 40% protein, 20 % good fats. 3. The calories should be cycled to prevent the metabolism from getting used to a certain caloric level. While my article on Bodybuilding Nutrition Basics further elaborates on the reasons why the rules above need to be followed, in addition to a discussion on carbohydrates, proteins and fats, I’ll move now to present you with two examples of good bodybuilding diets. 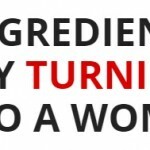 Definitely make sure that you cover at least the basics of supplementation which are a Multiple Vitamin and Mineral formula, 3 grams of Vitamin C split in 3 equal servings throughout the day, 200mcg of Chromium Picolinate, and essential fatty acids coming from either fish oils, flaxseed oil or extra virgin olive oil. Also, for convenience purposes a good meal replacement or protein powder is a great way to add valuable calories and nutrients to your diet. In addition to those basic supplements, I would also recommend Creatine and Glutamine as these two supplements offer many of the same properties as anabolic steroids (such as increased recovery, increased strength, increased glycogen levels, enhanced immune system and higher nitrogen synthesis) without the side effects as they are not hormones. You can experiment with various foods and also even substitute the protein shakes for real meals as well (though for most of you, protein shakes and meal replacements are more convenient). After 5 weeks of following this diet program, start adjusting your calories and cycling them as described in my Bodybuilding Nutrition Basics article. Now you have a few tricks up your sleeve in order to add some pounds of solid muscle to your frame. Implement them and start to grow!! Can You Get Better Natural Bodybuilding Results Via Super Slow Lifting?